With less than 10 days to go, I feel I am now in a fairly straightforward routine. The key to eating healthy during the week for me is ensuring I am prepared on a Sunday for the week ahead. This week, I put a large 3 litre pot of chicken stock (2 chicken carcasses from the butcher, chopped carrot, leek and onion) on the hob and headed in to town. When I came back a few hours later, I sautéed some onions and garlic and split it into two pots. In one, I put chopped sweet potato, lemongrass and ginger. In the other, I put carrot, parsnip and leek. 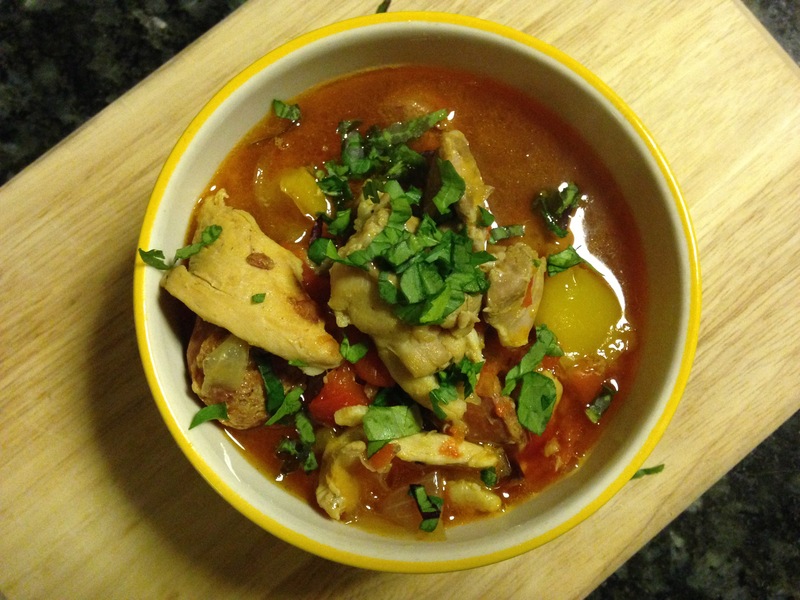 I cooked these for 5 minutes, before adding enough stock to each pot and left to cook for 30 minutes. When they cooled slightly, I blitzed them up, and portioned it out into containers with enough for 2 servings. I kept enough out for 3 days and froze the rest. Lunches sorted for a few days. I put the remaining stock in the freezer for the following week. I even put some in an ice-cube tray so that I could quickly add some flavour to a dinner or sauce. 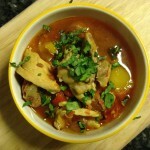 Today we had chicken and chorizo stew (recipe below) where we used some of the left-over stock. A lot of people are saying they are not sure what to eat. So below are some examples. 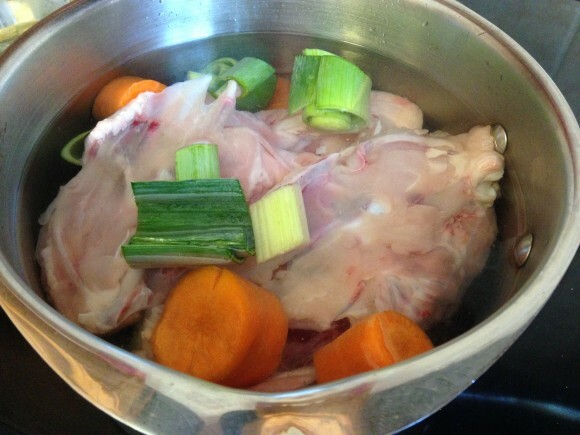 Finally, add the chicken stock and cover with a lid, cooking for 30-40 minutes until the stock has reduced.